Always on Mother’s Day Weekend. Always free to attend. 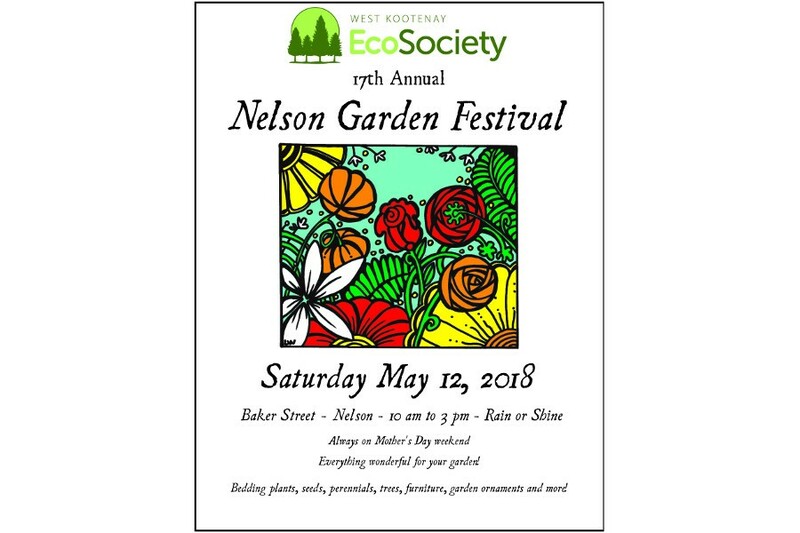 The 17th Annual Nelson Garden Festival happens on Saturday, May 12th, 2018, 10-3 pm, 600 block of Baker St. downtown Nelson. 50 booths of veggies, flowers, perennials and annuals, shrubs and bulbs, and many items to spruce up your gardens, patios, walkways and decks from some of the region’s best gardeners and crafts people. This is a rain or shine event.